Sign up for updates and receive 100 Ways to Use a Virtual Assistant absolutely free! 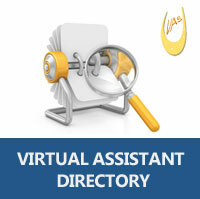 When you’re ready to hire a virtual assistant, you’ll need to find someone who meets your specific requirements. It’s important to realize that not all VAs offer the same services or have the same set of skills. 1. How will you communicate with your VA? If you prefer phone calls to emails, a VA who wants to use email as the main method of communication may not be a good fit for you. 2. How much can you afford to invest? Consider both your money and your time when answering this question. A seasoned VA will need less training and direction from you, but will likely charge a higher rate. A brand new VA may have a much lower rate, but you’ll probably need to spend more time in the beginning teaching her ‘the ropes’. Canadian VAs normally charge between $25 and $50 per hour, and more for specialized services. Some VAs offer a wide range of services, while others specialize in one or two things. Think about what you may need in the near future as well as right now, then search for a VA who does both or can grow with you. 4. How much support do you need? Good VAs get booked up quickly, so make sure the VA you choose has enough hours available in her schedule to provide the level of support you need. 1. Search for a GHVA member that meets your needs. Visit our Member Directory and click on Advanced Search. Check off the services you require. In the Services dropdown list, indicate whether you require “any” or “all” of the services you checked off. If you need someone local to you, use the City field to narrow down your options. Click through to the profiles to learn more about each member and contact any that are a good fit for you. 2. Submit a Request for Proposal. Simply complete our RFP form, providing as much information as possible about your business and your requirements. Your request will be distributed to our members, and those who are qualified and available will follow up with you directly. Although our members offer a wide range of services in many areas, you may have specialized needs that we can’t fulfil. In that case, ask your colleagues for recommendations or visit other virtual assistant websites. Many such sites have directories and/or RFP systems similar to ours. Once you have a list of potential candidates, you’ll want to communicate with them individually before making a decision. For suggested questions to ask, read How to Find a VA That Rocks. Copyright © 2019 All Rights Reserved Golden Horseshoe Virtual Assistants Group.